Ultrasound is defined as sound waves that have frequencies higher than 20,000 Hz. It has been widely applied in varied clinical aspects for years and is becoming more and more common in the beauty industry. It has both physical and chemical effects as well as mechanical heating massage function. 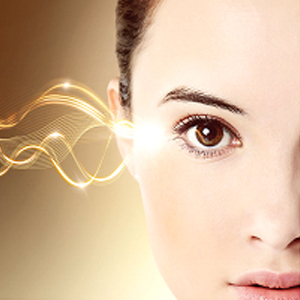 Ultrasound with different frequencies can have various beauty results on skin and body. The lower frequency it has, the stronger the ability of penetration into skin it will be. Most of our facial care devices prefer 3M Hz ultrasound and body care devices 1M Hz. and reduce wrinkles and fine lines by promoting the generation of youth collagen. When used along with your skin care products, it can enhance the results by conducting nutrition deep into skin. – Ultrasonic treatment with 1M Hz can generate ultrasound which vibrates 1,000,000 times/s, passing the vibration into body for slimming and shaping and skin improvements. Compared with diet and working-out, it requires only a few minutes each time without starving yourself or sweating all around. And it is harmless, totally non-invasive and does not entail a long recovery time like medical weight loss plans such as liposuction. With 1M Hz ultrasound emitting out of the steel head, you can easily get rid of stubborn fat from any parts of your body. It also has visible results in repairing cellulite and stretch marks.